Join us for a unique fusion of Tai Chi, Qi Gong, Mindfulness and visualisation exercises. Vicki has worked in the health field for over 30 years, has been teaching traditional Mindfulness Meditation since 2003 (not continuously) and been teaching Tai Chi and Chi Gong for over 5 years. She is also steeped in Chinese Metaphysical practices which includes Traditional Feng Shui which she has been practising since 1997. 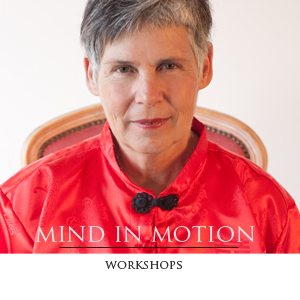 She has now fused Mindfulness practices with Chi Gong and offers on a workshop basis regular Mind in Motion experience to all comers. If you have mobility limitations then talk to me to see if this is suitable for you. Come along, bring a friend and start to experience your inner balance unfolding before your eyes (at least your mind's eye). Book in by emailing or phoning (0362 390 126) or texting (0427 902 220).